8º mayor, 2 hh, 266 pp, 1 h, intonso, láminas (1 plegada). 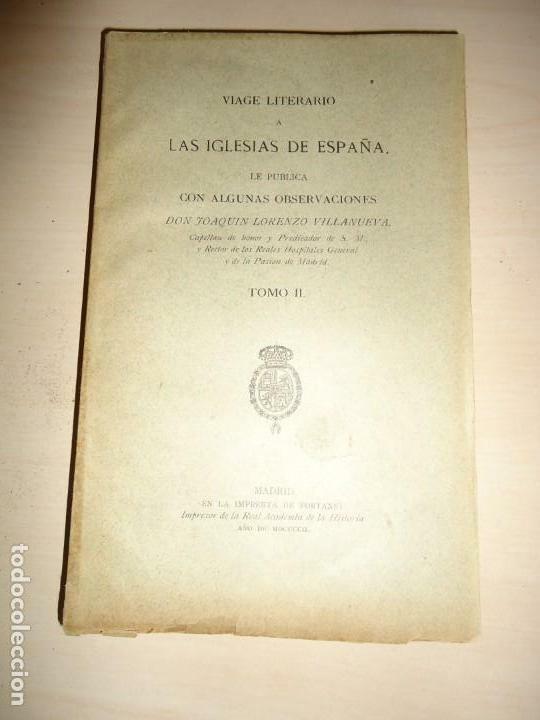 VIAGE LITERARIO A LAS IGLESIAS DE ESPAÑA - AÑO 1851 - JAIME VILLANUEVA·DESPLEGABLE. Offizielle Uhrzeit TC: 09:40:32 TR: 163 ms.